Welcome to our Valentine's Link Party! It's such a wonderful time of year to celebrate love! I'm so excited to be joining a group of talented ladies for this delightful and fun party highlighting ways to enjoy this special day! We're counting down the time by sharing with you awesome Valentine's Day related inspirations ranging from crafts/diy, recipes, party ideas and everything in between! 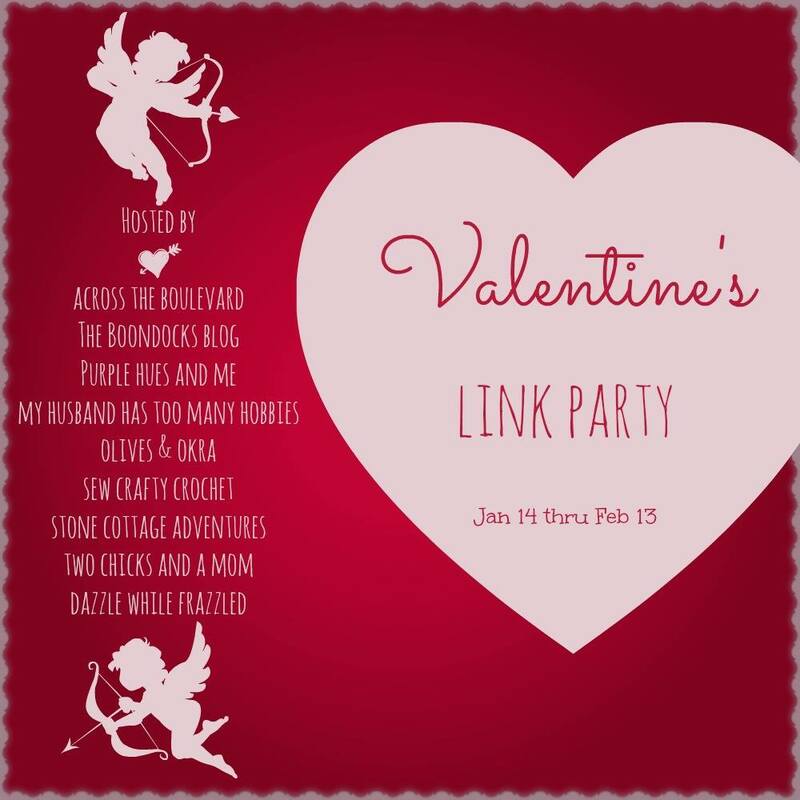 And best of all, the party runs from January 14 through February 13th, so you'll have plenty of time to link up your favorite creative valentine ideas, both new and old - just be sure they're family friendly! Then on February 14, each hostess will feature their most favorites. Even though Valentine's Day is very special to me, I really don't go all out in decorating my home for the occasion. I always like to keep it simple and easy so I'm sharing with you an adorable way you can do this and still be impactful by adding this rustic wire heart garland to your valentine holiday décor. It really is a lovely addition to any Valentine décor - and you'll find the complete tutorial in my post on making a Handcrafted Rustic Wire Heart Garland, here. Btw, if you're looking for a deal at Oriental Trading, especially with their awesome Valentine specials and treats, visit their coupon page for the latest in sales! Now join the party by linking up!